Below are forms that relate to the transcript policy of the Federal Court system and the Northern District of New York. Information on the policy can be found in General Order 3. Additionally policy outline information can be found in Notice to the Bar regarding Transcript Policy. For questions of concerns regarding the transcript policy of the court please contact one of our office locations. A draft unedited transcript produced by a certified realtime reporter as a byproduct of realtime to be delivered electronically during proceedings or immediately following adjournment. One feed, 1$3.05 per page; two-to-four feeds, $2.10 per page; five or more feeds, $1.50 per page. 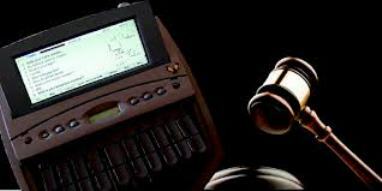 1A realtime "feed" is the electronic data flow from the court reporter to the computer of each person or party ordering and receiving the realtime transcription in the courtroom.